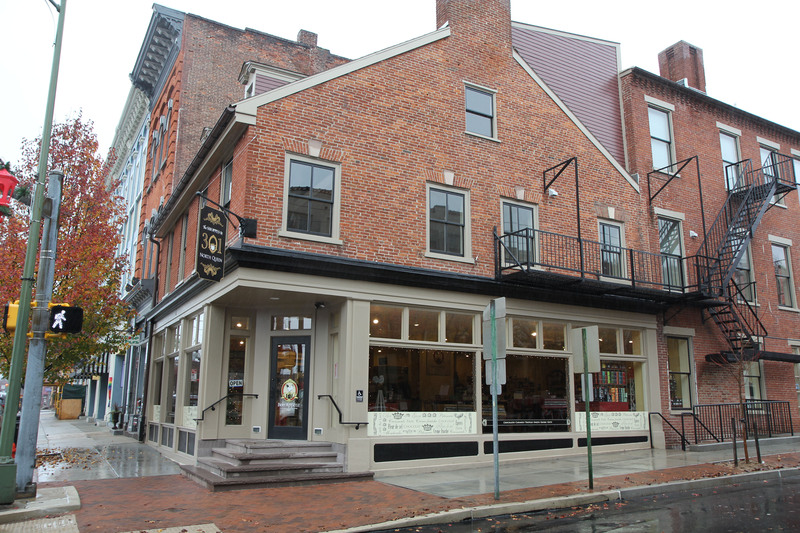 Transforming this large corner property from a district judicial office to a first-floor restaurant with apartments above, while preserving the historic features of the building, called for integrating original design elements while implementing changes to the exterior and floor plans. By restoring the historic wood and glass storefront, the street level restaurant is now a bright, inviting space and a focal point of the city block. Old drop ceilings were replaced with a fire-rated ceiling that met codes for mixed commercial/residential use, while non load-bearing walls were removed and the exposed cast-iron support columns were incorporated into the restaurant design. The upper level apartments integrate the character of historic features, including walnut handrails and antique elevator equipment. At street level, the corner entrance is recessed with wide steps, making it visually appealing and easy for customers to enter. 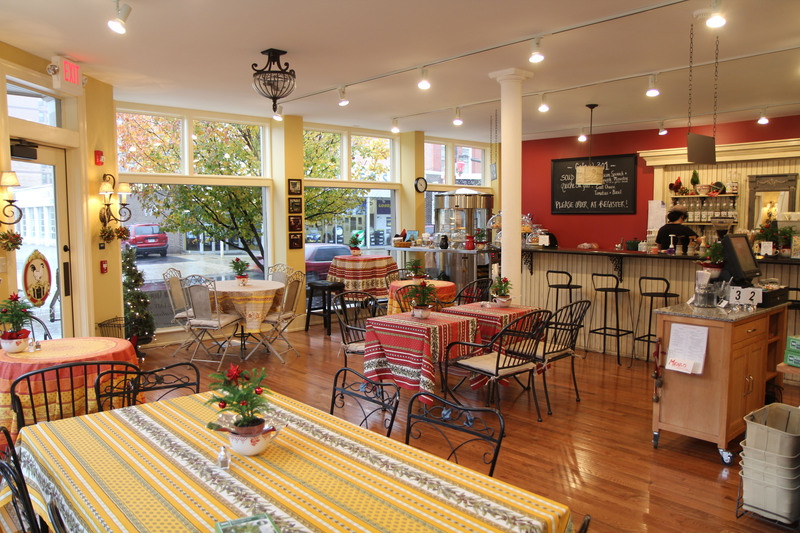 The restaurant sign, colors and architectural details all maintain the historic character of the building, while expansive original windows offer passersby a look at the cheerful interior and activity inside. 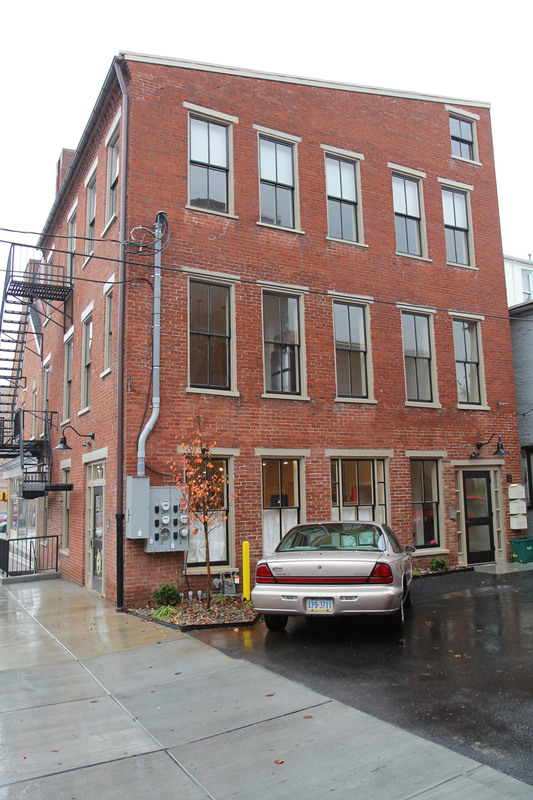 Original doors, or recreations by local craftsmen, were used to achieve a consistent exterior décor in the rear of the building, which offers parking spaces for apartment dwellers. 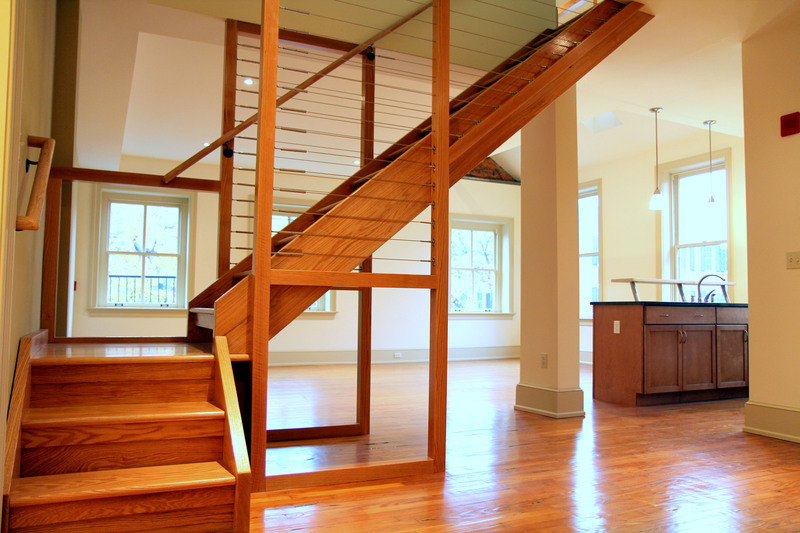 With warm wood tones and industrial features on this new stairway, the two-story loft apartment is an excellent example of blending preservation, restoration and adaptation in a mixed-use historic building.